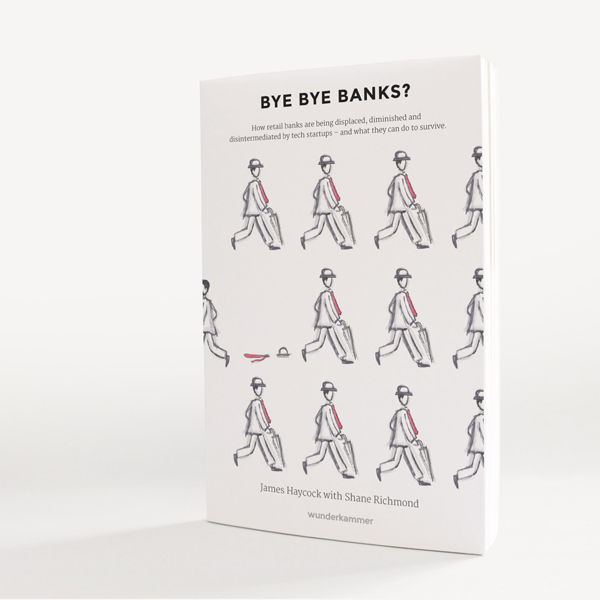 Based on this research, carried out for a new book called Bye Bye Banks? written by James Haycock with technology reporter Shane Richmond, despite the fact that banks are spending billions of pounds on digital transformation and innovation activities, changing the entrenched culture within these organisations is very difficult. Bye Bye Banks? stems from extensive qualitative and quantitative research from 110 senior managers, directors, C-Level executives, CEOs and Presidents within the retail banking sector. Many traditional industries (such as media, telco and travel), are already battling to cope with the challenges thrown up by the arrival of tech start-ups that have ambitious founders, significant funding, smaller and more nimble teams, less physical infrastructure that’s free of legacy, improved software and entirely digital distribution. Such start-up disruptors can be seen with the arrival of various connection platforms such as Uber that uses an innovative software model to connect freelance drivers with users, AirBnB which created a platform to bring together people with spare rooms with those who are looking for a place to stay, and WhatsApp that now offers voice calls and a free way to speak to people around the world. This disruption is also happening in the retail banking sector as changing legislation is opening the way for new entrants. Like incumbents in any sector, traditional banks find it difficult to keep pace with change, due to their size and the fact that they still make considerable amounts of money. 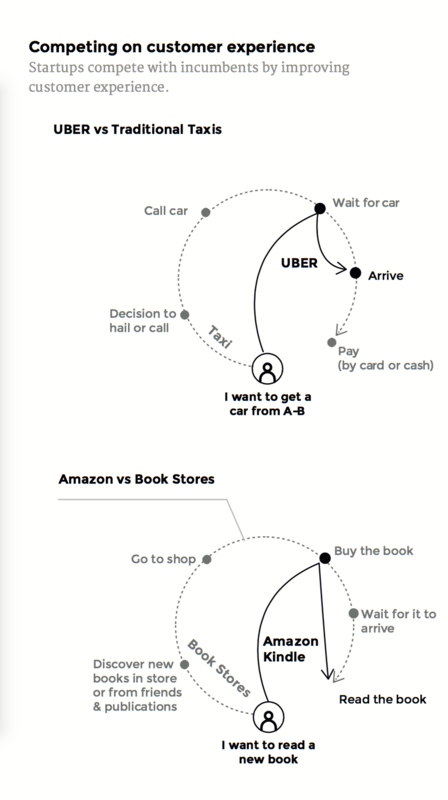 To explore new business models could cannibalise or compete with their existing one. They also find themselves hamstrung by legacy: legacy technology, legacy processes and, often, legacy thinking. Banking giants face a further challenge, with a very high cost of compliance making it hard to deliver change at the rate of the new, agile entrants. Many in the industry feel that regulation protects them from the tech startups though. That protective cushion might be slipping away, however, as governments act to promote competition by changing regulation to encourage new offerings. 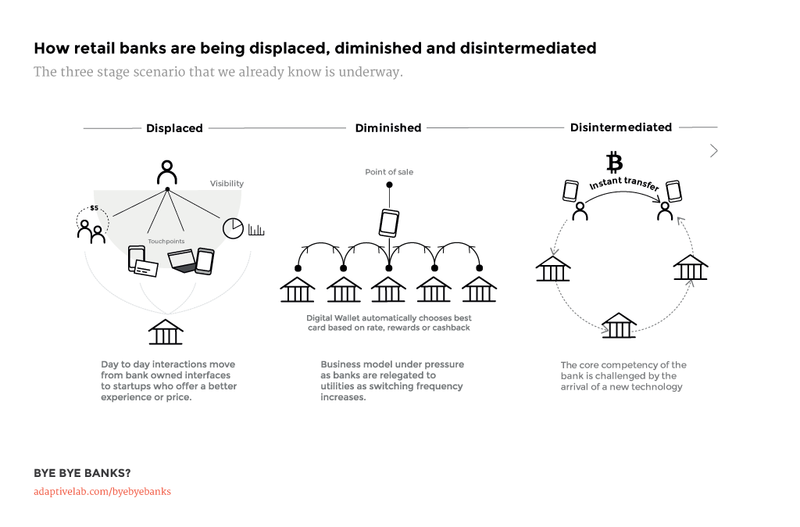 Adaptive Lab believes that we could see the end of banks as we know them within the next two decades. Bye Bye Banks? shows that banks are threatened “By a new generation of companies and leaders who have torn the rulebook to pieces, adopting new technology, new working practices, and serving customers whose lives are increasingly orientated around their mobile phones”. 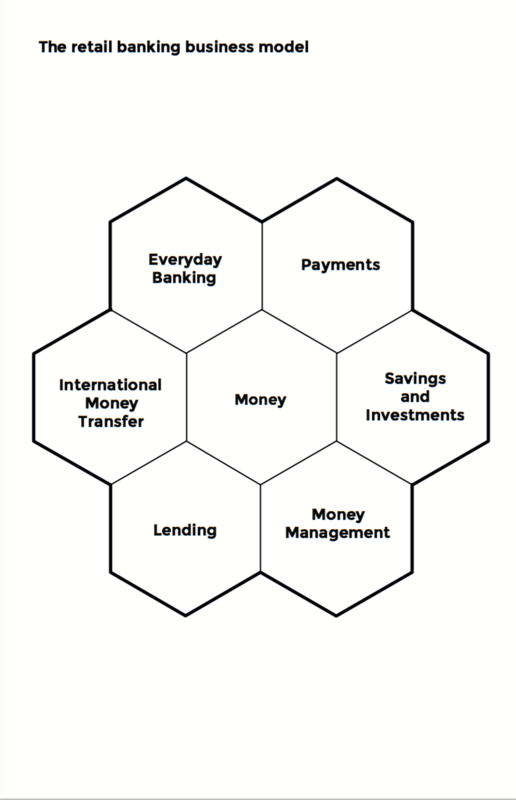 The company has a bold solution for this: establish Beta Banks. Put simply, this would involve establishing a standalone organisation with a separate leadership and HQ, what Adaptive Lab call ‘native leadership’, offering a fresh start and the opportunity to rethink from the ground up. The survey of banking chief executives, senior executives, directors and managers underpinning the book demonstrated that customers do not trust banks, and compliance challenges are taking up focus and resources that could be deployed elsewhere. Outdated technology infrastructure is also a problem. 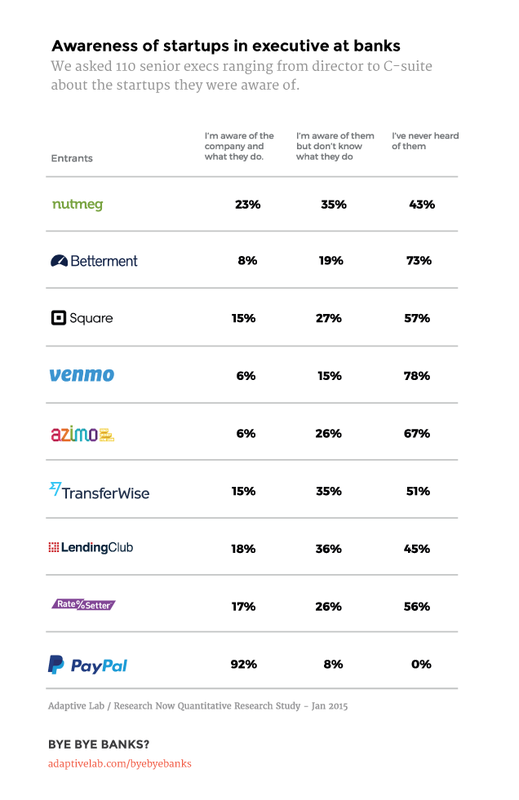 Meanwhile, consumer research, also commissioned by Adaptive Lab, found that more than one in four people don’t use their bank’s mobile app because it has limited functionality and one in ten customers say it is too complicated. Boden adds, "I think new entrants need to differentiate providing a very distinctive customer proposition and experience. Doing the same as an existing bank doesn't really work. People are not switching banks at present as they don't see anything different in the marketplace. There has to be something really appealing in order to attract the customers." Alessandro Hatami, Founder of Pacemakers and former Digital Payments and Innovation Director at Lloyds explains, "A concern that the banks have is the arrival of big ecosystems that will replace them, so Google, Facebook, Apple, etc. These are customer-based. The customers are already users of these environments. 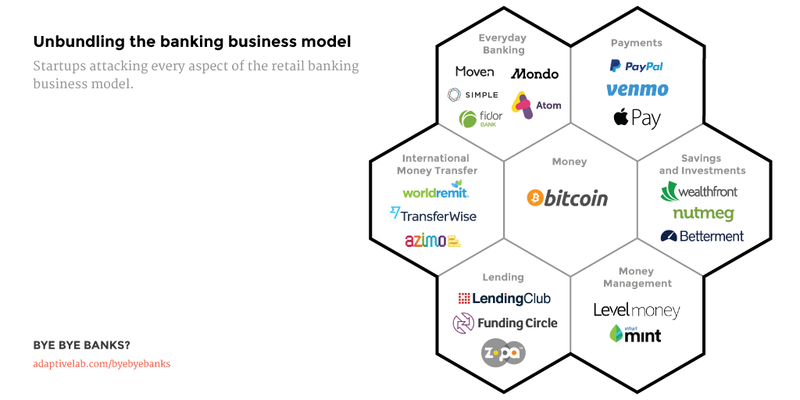 If they start pushing financial services to their own customer bases, these ecosystems can potentially take customers away from the banks." ** The retail banking industry have a good understanding of evolving customer needs (61%) however the industry is not well prepared to cope with the technological challenges in the near future. but overall compliance taking up focus and resources was ranked the most crucial challenge. ** Challenges in regulation and changing consumer behaviours were thought to be the most challenging external factors that retail banks are facing. **Existing digital players (like Facebook and Google) entering financial services are the biggest threat to retail banks, followed closely by challenger banks and technology starts-up specialising in different elements of the retail banking model. 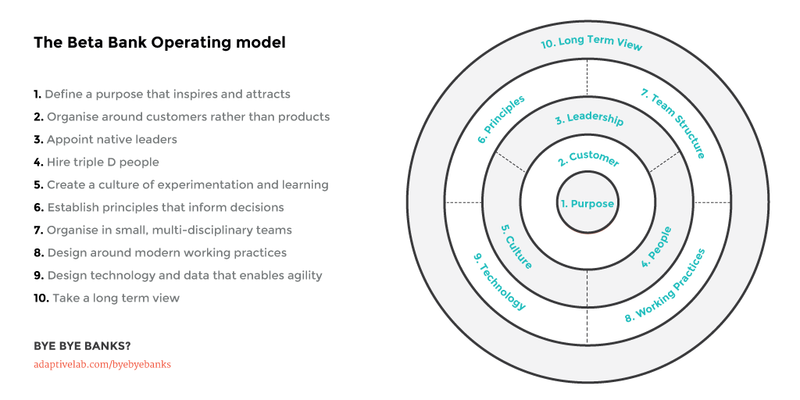 ** Banks must rethink their operating models, launching a new, standalone organisation with new leadership. Travers Clarke-Walker, CMO at Fiserv commented, "Internally it's a challenge for traditional banks, because of the way they've grown up around regulation, around waterfall style of deployment, around internal stakeholder management, around the necessary approval processes, not to mention length of projects and managing expectations - all of this combines to create bit of a blocker to progress and change." James Haycock is the founder and MD of Adaptive Lab, a pioneering digital products and services agency. At Adaptive Lab he has grown a team of impressive and inspiring problem solvers and product builders and, alongside them, works with forward looking leaders to tackle disruptive problems at some of the world’s largest corporations across sectors including finance, telco, retail and media. Since founding Adaptive Lab in 2009, James has become a regular commentator for trade and national press including The Sunday Times, The Guardian, Global Banking and Finance Review and BBC Radio. Shane Richmond is a technology journalist, freelance copywriter and consultant. He spent four years as Technology Editor at The Telegraph and his writing has appeared in The Independent, Stuff and T3. He has written ebooks about wearable technology and the Apple iPad. His corporate clients include HP, Canon, Samsung, Intel and BT. His television and radio appearances include Sky's Jeff Randall Live, BBC Newsnight, Radio Five Live and the World Service. The study undertaken was a qualitative and quantitative research from 110 senior managers/directors, C Level executive, CEO/Presidents within the retail banking sector. Additionally the consumer research was a combination of primary and secondary research; with that of qualitative and quantitative research from a survey of over 400 nationally representative UK consumers. Adaptive Lab are pioneering digital product and service specialists. Accelerating change in technology and customer behaviour is transforming every sector of the economy. With new competitors emerging virtually overnight, success is dependent on a company’s ability to embrace disruption. We partner with forward-looking leaders who recognise the imperative to rethink as the world around their company changes. We help to transform their existing businesses and to develop new propositions by deploying the smart-working methods of the world’s fastest growth tech startups. Our clients include Associated Press, Barclays, Barclaycard, Experian, Johnston Press, Tesco, Three Mobile, and Vodafone. Founded in 2013, TDC is a London-based PR & Communications consultancy representing clients in the Creative, Design & Innovation Industries. With a passion for both the cultural and economic significance of these sectors, TDC PR helps companies and individuals in a wide variety of fields including Design & Branding, Product Development, Innovation, Digital, Media, Architecture, Interiors, Furniture & Lighting, Photography, Creative Direction, Choreography, Fitness & Dance. Our team’s combined experience brings a wide range of expertise, allowing us to provide bespoke and agile PR & Communications solutions to our clients. We believe strongly in working closely with our clients as part of their extended team to help achieve meaningful impact, business growth and reputation management.